Russia and Brazil agreed Wednesday to meet with India and China next year to create a new global financial architecture — a reflection of how economic power is shifting from the United States and Europe. Brazil, Russia, India and China — emerging markets collectively known as the BRIC nations — “represent a powerful force,” President Luiz Inacio Lula da Silva said as he stood with Russian President Dmitry Medvedev, who agreed to host the 2009 summit. Silva is pushing for big developing nations like Brazil to have a major role in drawing up new regulations for international finance and for a greater voice in the IMF and World Bank. Medvedev said he and Silva discussed the creation of a “new financial architecture,” Russia’s ITAR-Tass news agency reported. Silva and Medvedev did not say whether China and India have agreed to the summit, but finance minister of the four countries met on the sidelines of a G20 meeting in Sao Paulo that preceded their leaders’ summit in Washington this month. The two leaders also discussed increasing cooperation in energy, agriculture and railways, signed a military technology cooperation accord and agreed to cooperate on a satellite program. Russia has a satellite navigation system, and Brazil launches its own rockets from a base in northeastern Brazil. World leaders holding an emergency meeting to combat the economic crisis agreed yesterday to a far-reaching action plan that, over the next 4 1/2 months, would begin to reshape international financial institutions and reform worldwide regulatory and accounting rules. Global Economic Meltdown Gives Developing Nations Upper Hand: U.S. and NATO Eclipsed? As shell-shocked central bankers and finance ministers gather in Washington to confront the world’s financial meltdown this weekend, that grinding noise in the background is the sound of the global balance of power shifting. In sharp contrast to past crises — from the Latin American debt problems of the 1980s to the Asian and Russian currency collapses of the 1990s — the emerging markets of the developing world boast the strong balance sheets and deep financial pockets while the United States and Western Europe lurch from crisis to crisis. First we salute Christopher Columbus, a wise mariner and colonizer. Mostly we think of him as a great navigator but let’s not forget that he also had to raise his own money for his adventures by “pitching” his plans around Europe. On May 1, 1486, Columbus laid out his plans before Queen Isabella, of Spain, who funded the project. Columbus then built, manned and supplied a three ship unit. 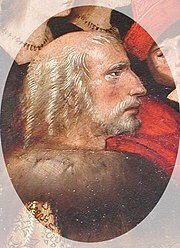 Portrait by Alejo Fernández, painted between 1505 and 1536. Photo by historian Manuel Rosa. Christopher Columbus faced immense challenges. His critics said the earth was flat and he would fall off. Few people had any idea how large the earth was or the distances between unexplored places. And finally, Chistopher Columbus had no accurate timepiece. Estimating longitude depends on accurate time measurement. No reliable chronometer existed in the 14th and 15th centuries. Time was kept on board ship by the use of sand filled hour glasses which had to be watched and turned hourly. As a former Naval Officer who had to raise money, give some “pitches” and navigate in my own life, at sea and ashore, I have the deepest admiration for Christopher Columbus and his tenacity. My wife and I run a small business — but she does all the work. I admit it! I try to sit quietly at the computer doing research and cranking out newspaper articles. And I also tell stories to people purely for the entertainment and fellowship (and I don’t mean just men: no offense intended to the women out there!). Today I told stories about Columbus. One customer today was born in Bolivia and I told him he might not be here if not for Chris Columbus. I told him he has two ties to Columbus: his life in the Americas and his Spanish language. The Bolivian man was impressed that Columbus found this land but he also convinced a Spanish Queen to fund the quest! A woman born in Thailand added that the key to life is hope, your dream and determination. She thought Columbus would say that if he lived today. Like a lot of Asian-Americans she spent time at sea as a refugee. One customer, named Shaka, told me he is named for the greatest warrior of all time: Shaka who united the Zulu nation in Africa. He said Shaka is viewed and respected for his military adeptness like Attila the Hun or Alexander the Great. He said that Columbus was just as important as Shaka and maybe more so because Columbus had no idea what he would find or quite how he would find it. In fact, Columbus was searching for India (that is why Native Americans have been referred to as “Indians”). All we do is work: a common thread among many of first generation American immigrants. Finally, my own wife escaped Vietnam with the “Boat People” after the fall of Saigon in 1975. She has no love of the sea’s vastness and perils. KARRATHA, Australia (AP) – For nearly three decades, Chinese peasants have left their villages for crowded dormitories and sweaty assembly lines, churning out goods for world markets. Now, China is turning the tables. Here in the Australian Outback, Shane Padley toils in the scorching heat, 2,000 miles from his home, to build an extension to a liquefied natural gas plant that feeds China’s ravenous hunger for energy. At night, the 34-year-old carpenter sleeps in a tin dwelling known as a “donga,” the size of a shipping container and divided into four rooms, each barely big enough for a bed. There are few other places for Padley to live in this boomtown. It’s the money tree that keeps on giving. Despite warnings about the lack of transparency, corruption scandals and companies with shaky financials, the Chinese stock market has leaped 300 percent in the past two years. No other major market in the world has rewarded investors as generously. Consider: Brazil, Russia and India — the other fast-growing countries that make up the so-called BRIC economies — gained at most 170 percent over the same period. The Standard & Poor’s 500-stock index rose 24 percent.